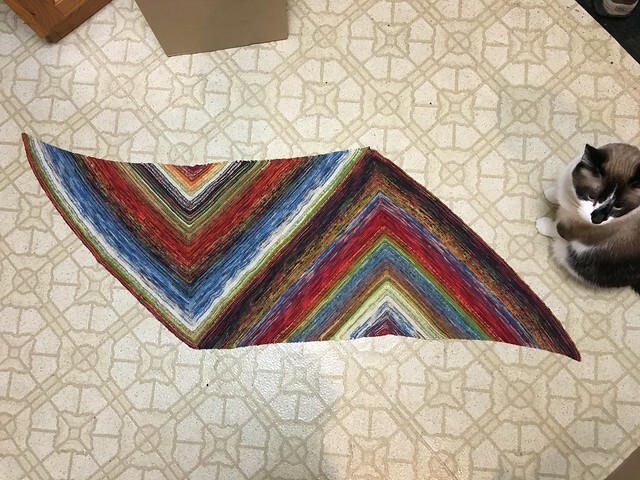 Ahh… my first completed project of 2018! 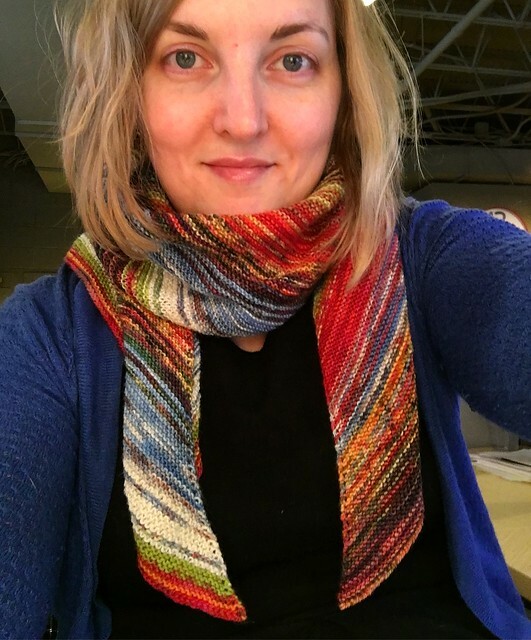 I knit this up in just over a month because I had always wanted to participate in an official (virtual) knit-along, and Ambah was hosting this one. 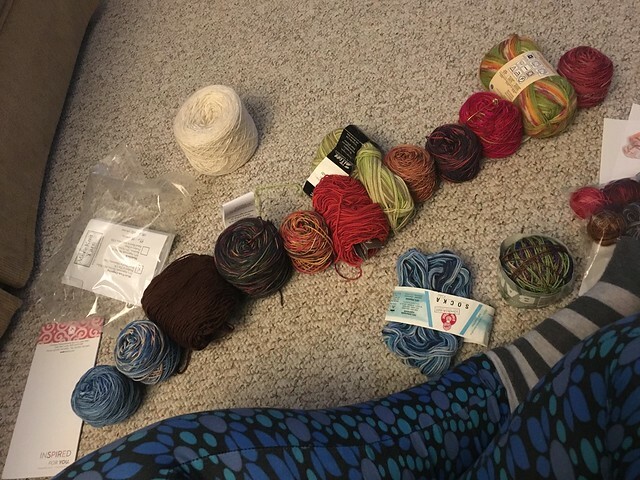 Many of the people knitting along were using yarns they had received through various advent calendars, but I just dug deep in my stash to come up with a color combo. 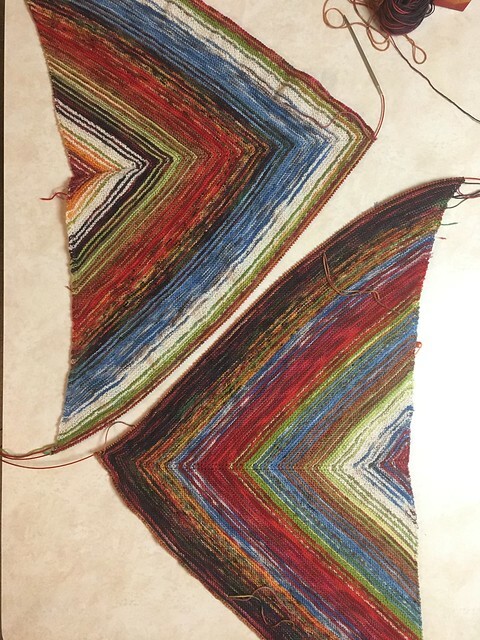 I thought it’d be so easy to take these yarns and make a nice fade — they were already all matched to each other, right?! Well, it took me quite a while to like what my color combo was creating. Until I was almost done with the first triangle, I was really feeling that gross/violent/decaying feeling that the walkers of The Walking Dead create. But! I’m happy with the final product. 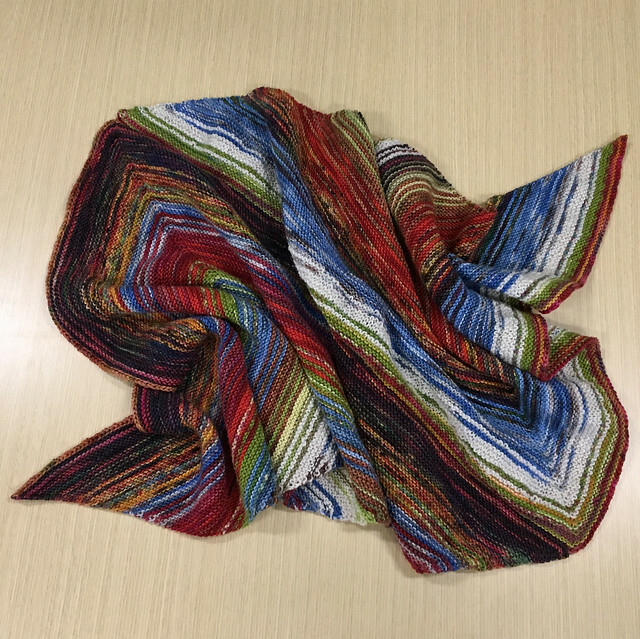 And I’m happy to have used yarns that have been waiting years for their time to shine. That white yarn, for instance? I remember buying that out of a small shop that a gal ran out of her home somewhere near Duluth when Kristi and I were out joyriding, looking for sites to enjoy while Mary and Johanna were getting cultured at the annual Finn Fest. That was almost ten years ago! 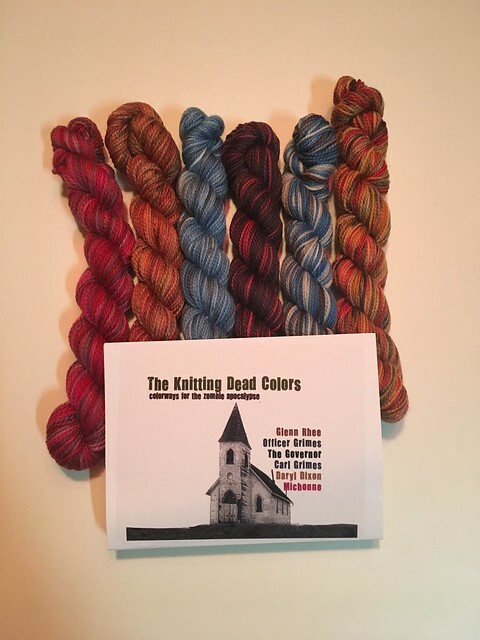 I had asked the gal what her most unique yarn was and she pointed me to that skein — it’s a blend of tencel and cormo. 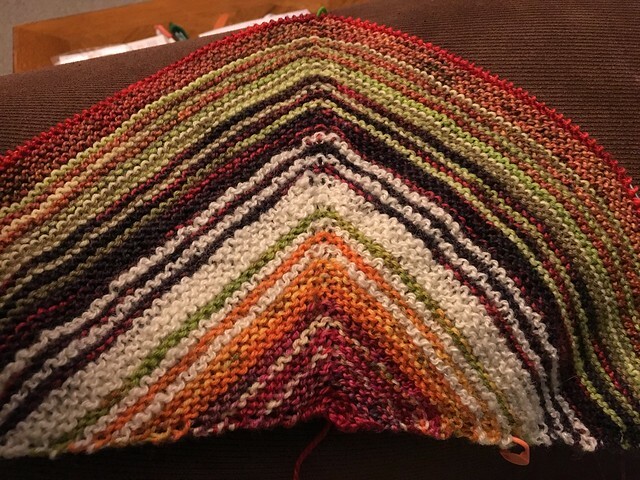 It’s a little scratchy, but still kinda makes me feel like that much more of an indie knitter. I mean, do you have that blend in your stash? 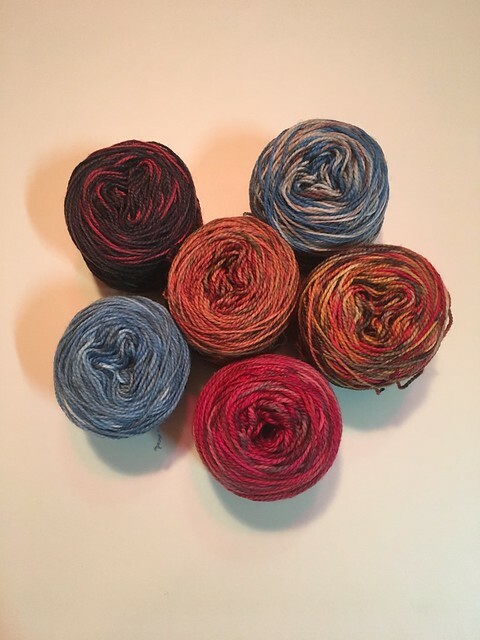 Yarns: 6 different yarns in a variety of colors, see Ravelry for more details.